Scientific name: Washingtonia robusta H.Wendl. 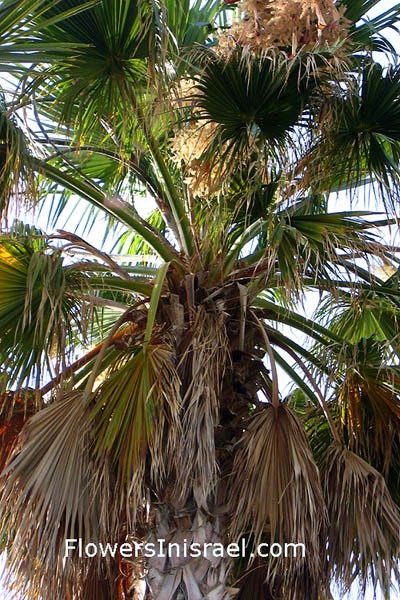 Washingtonia , named after George Washington (1732-1799), the first president of the United States. The standard author abbreviation H.Wendl. is used to indicate Hermann Wendland (1825 – 1903), a German botanist and gardener. 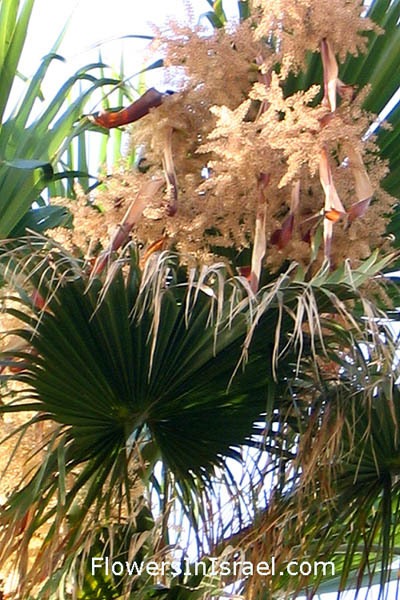 The first seeds of the Washingtonia robusta were brought, it would seem, by Aaron Aaronsohn (1876-1919), and were distributed from Aaron Aaronsohn’s agricultural experimental station in Atlit to Mikveh Israel, and then to other places in the Land of Israel. The long veteran avenue of Washingtonia palms east of Atlit, probably the first planted in Palestine in 1912.